Oh, poor Sony. They just can't seem to do anything right. Now they've—wait, what? They haven't screwed up this time? I'd say "alert the media," but, well, technically I suppose I am the media. How embarrassing. Having previously announced that the launch shipments of the PlayStation 3 would be limited to 400,000 units in the US and 100,000 units in Japan, it appears that one other region will be getting in on the "highly anticipated" (their words, not mine) release. 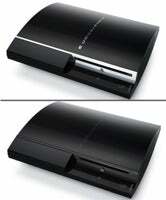 Hong Kong and Taiwan will also be receiving PS3s on November 17th, even though originally they were supposed to be waiting to March of next year along with, well, the rest of the world . The 60GB version will run HK$3,780 and NT$17,980 (US$486 and $544) while the cheaper 20GB model will cost HK$3,180 and NT$14,980 (US$409 and $454). Given that it was component shortages that originally caused Hong Kong and Taiwan to be left out of launch day madness, I wonder just how many units they'll be seeing there.